A healthy and easy to make breakfast waffles, these oats waffles also make for a great dessert. Mix the oat flour, baking flour, baking powder, oats, sesame seeds, sugar and cinnamon powder. Break the eggs in a separate bowl. Add the milk and coconut oil. Pour this into the flour mixture and mix until well combined. Pour the batter onto a preheated waffle iron and close the lid. When the waffle is crisp and deep golden, remove and cool. Sprinkle some icing sugar and serve at once. Tip: You can also serve with a choice of syrup and fruits. 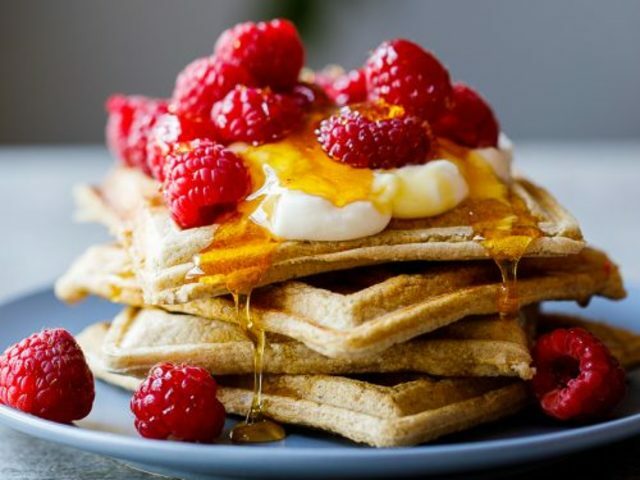 Feel free to comment or share your thoughts on this Oats Waffles Recipe from Awesome Cuisine.